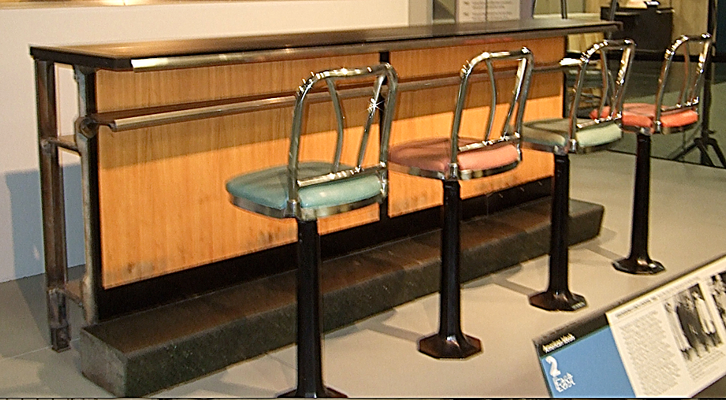 This lunch counter is from the Woolworth's Department Store in Greensboro, North Carolina where four college students staged a sit-in on February 1, 1960. They were protesting segregation in public facilities in the South at a time when African-Americans could not be served food at places like department stores. The students sat at the lunch counter and left peacefully when asked. However, they continued to peacefully protest this policy until the summer of 1960 when Woolworth's agreed to serve them. This protest launched a wave of similar activities across the South and led to federal laws that prohibited racial segregation in public places. I would ask students to think about issues such as equality, justice and freedom. 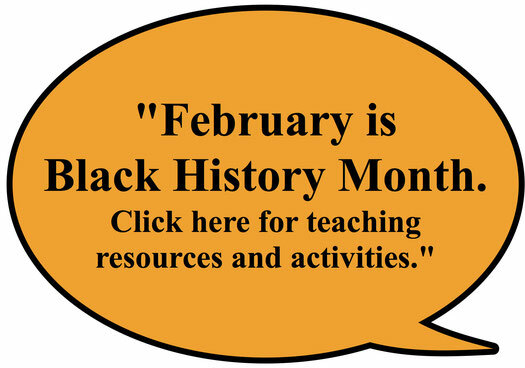 I would also ask them to think about the history of race relations in the United States, and discuss whether there is more freedom and toleration today than in 1960 when the sit-ins occurred. I suggest incorporating the story of the lunch counter into the larger subject of civil rights and human rights in American history. There are many books and films on this subject. You should choose resources appropriate for elementary school children.